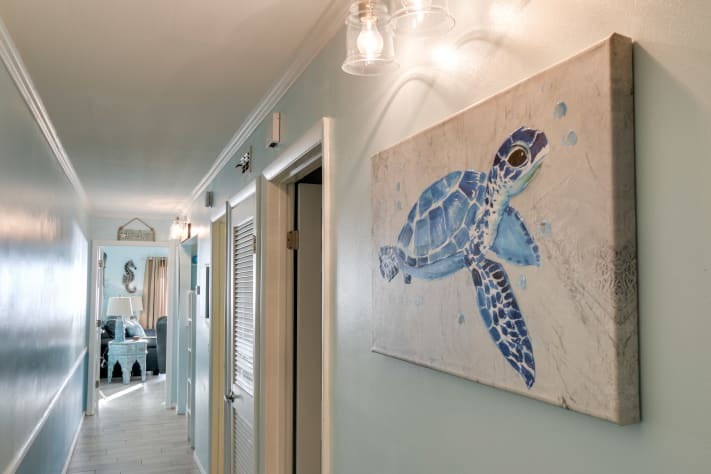 Hidden Treasure III is located on the 2nd floor at the quiet end of The Summit, and is steps away from the beautiful sandy beaches of Panama City Beach. 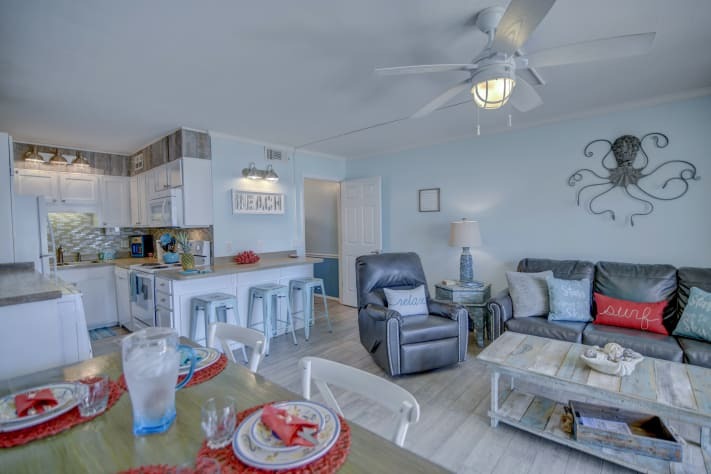 Hidden Treasure III is a newly renovated clean, cute and AFFORDABLE condo with an Shabby/Coastal chic. This spotless unit can sleep up to 6 guests comfortably. 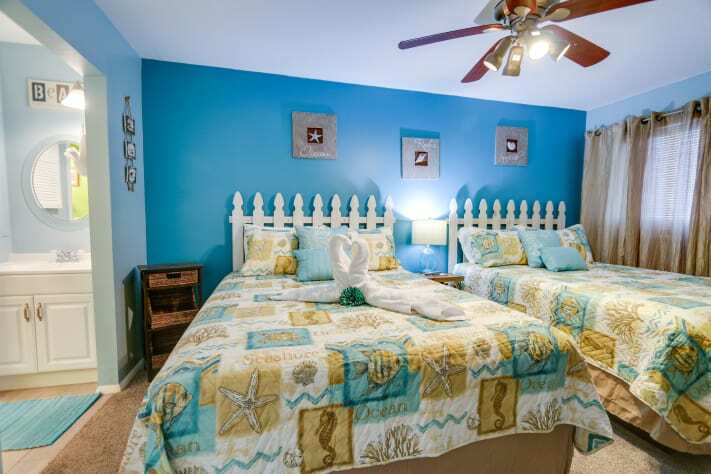 The master bedroom with its 2 new luxurious queen size pillow top mattresses can sleep 4, has a 32 inch TV & Blue ray Player, its own dressing area as well as direct access to the main bathroom. The cute bunk area is furnished with 2 new comfortable twins beds with individual bookshelves, lights and childproof sockets with USB port. 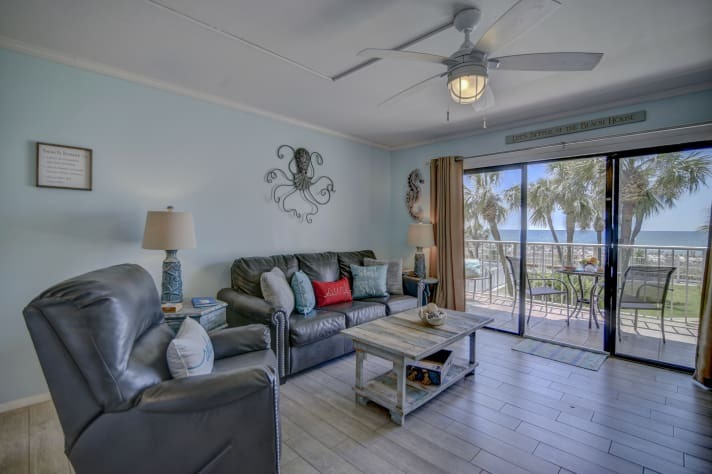 The living area is an open floor and has an INCREDIBLE view of the magnificent Gulf of Mexico with its private entrance to the balcony. The newly renovated living area as soft leather furniture with memory foam sofa sleeper; 55 inch TV and Blue ray player. 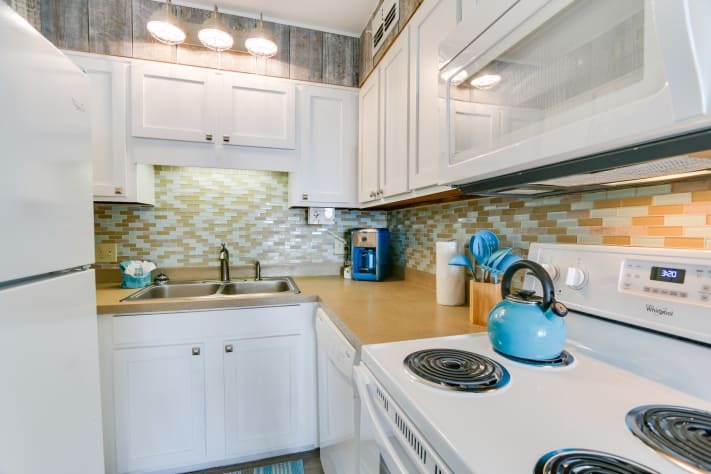 The fully equipped kitchen with all new appliances has everything needed for the preparation of delicious meals. 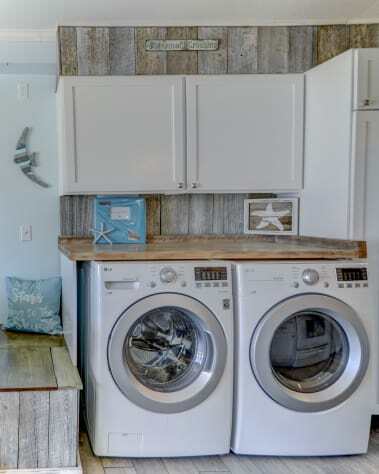 This condo also has new front load washer/dryer..
Why rent from a rental company when you can rent directly from an owner and be reassured to get what you pay for? No surprise...our unit looks EXACTLY like the pictures. 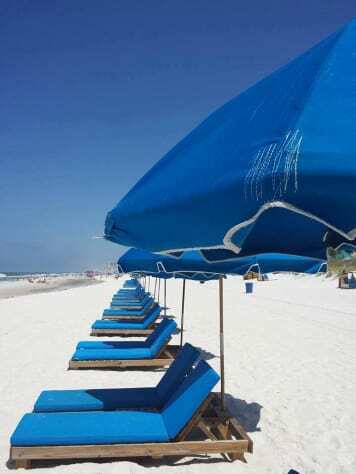 The unit has FREE WiFi and if you book early … you are guaranteed the best spot on the beach with a FREE set of Beach Chairs with umbrella in season (Apr 1-Oct 31). We even offer you a starter kit with shampoo/conditioner, coffee, coffee condiments...We like the best and...We offer the best. What are you waiting for...contact us now! We had a great time and your condo made us feel right at home. We had everything we needed plus some! Thank you for being so welcoming to us! I also brought ideas home for redecorating my house thanks to your awesome style. Awwww....that us so sweet :-)! I am so please to hear that you had a great time. This make my day:-). We are glad to welcome you to our VIP family. Hope to see you again soon!! I really enjoyed my short stay in your beautiful condo. It was very well laid out and decorated gorgeously. Wish I could have finished my stay but unfortunately we had to leave early due to family emergency. Would love to come back again. 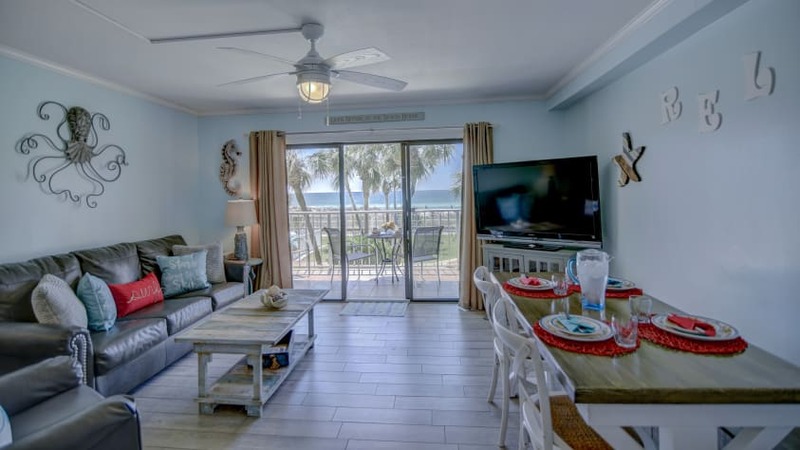 Even though this was the first time I had ever rented a condo for a beach stay, Chantal was very helpful with the whole process. May try renting one of your other condos only because this one was above the garbage shoot and sometimes the smell was strong. Nothing you can prevent though. Otherwise loved the condo! Dear Ms Johnson, Thanks again for visiting us! I am glad to hear that you enjoyed the condo. However, I am curious as far as the smell since it never been an issue before. Since my unit is nowhere near the trash chutes, I have no idea of what the smell coming from the outside of my unit could be. I wish you had notified me when I check on you as I would have take action and reported to our HOA. I am sorry about that. Glad to hear that this incident was not a bad experience and you will be visiting us again . Welcome to our VIP family and hope to see you again soon!! We came for our stay for Labor Day weekend with the grown children for a change. It was an absolute blast. 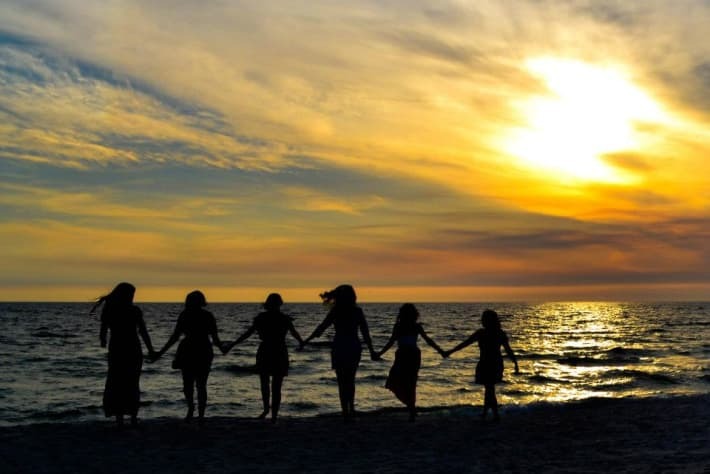 We had just as much fun making memories as if they were still small. The condo 230 was fantabulous! It was the perfect size! It had everything we needed and more! We definitely will be coming back to stay again! Chantale was very in touch and on top of everything! Housekeeping was superb! Our mini weekend Labor Day family vacay was absolutely perfect! P.S. The games and puzzle was an excellent add on and the grown children LOVED it! Thank you for having us! 5 STARS ***** for sure!! Lots of room and clean!!! 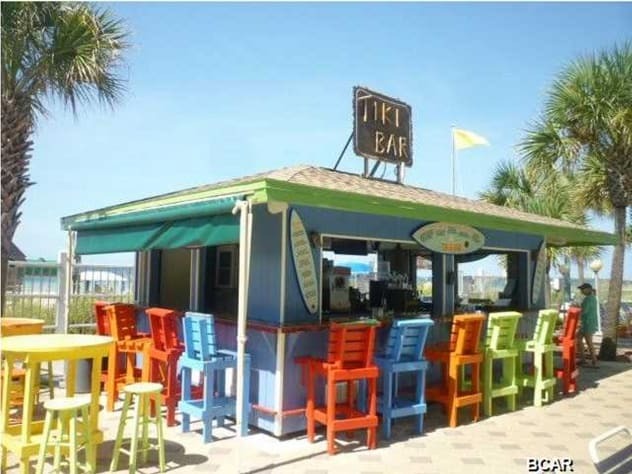 Excellent place to stay and plenty of room and everything you need! Dear Ms Zandra, We are so please that you enjoyed your stay with us! It was so wonderful having you as a guests. We feel blessed to have you in our VIP family now and hope to see you again soon! 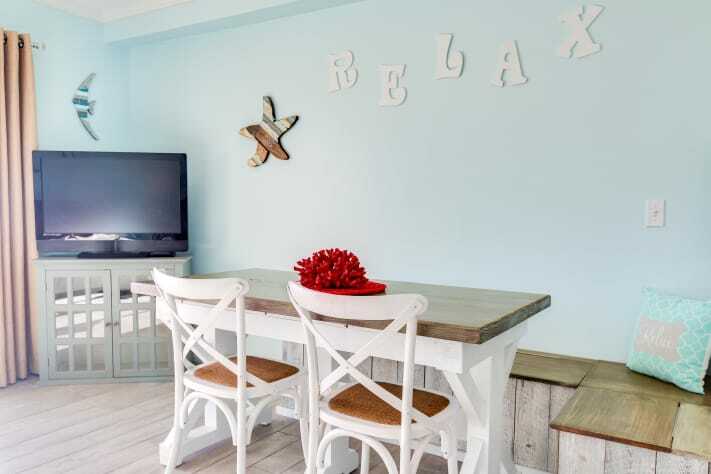 This Condo is beautifully decorated and has everything you need for a great vacation. Chantale is great to work with and all of her condos are spotless, which means a LOT to me. 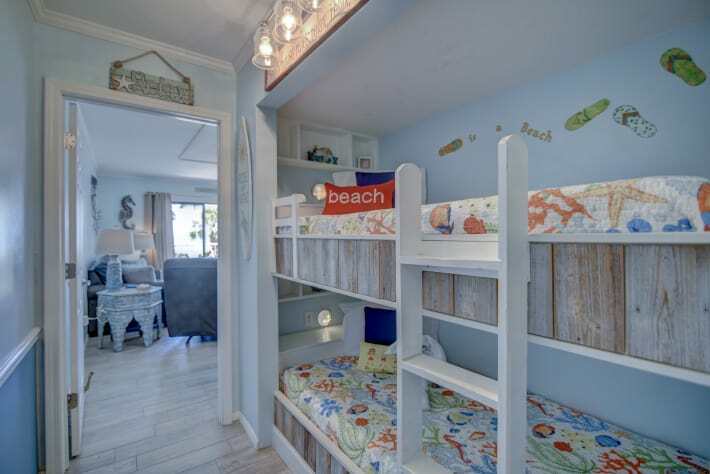 The bunks give a nice space for the kids and they loved them. We will definitely return! Dear guests, Thanks for the kind words! Such a pleasure to read that you and your family enjoyed yourselves. 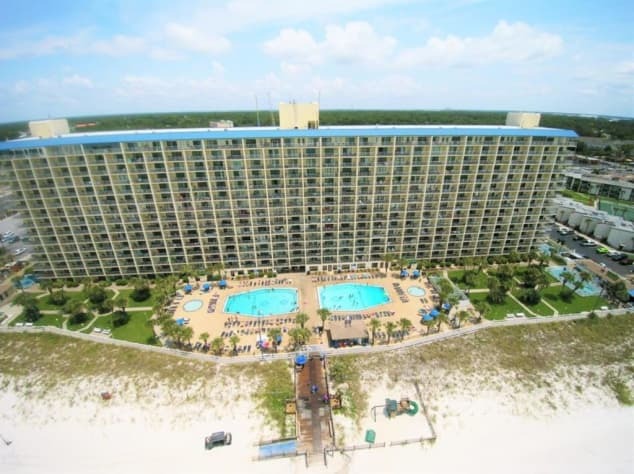 The Summit is a wonderful complex for families as the resort as so many amenities and the low floor condo makes it ...to my opinion...lol...the perfect family vacation spot . Thanks again for visiting us and hope to see you again soon! Love staying here every year! 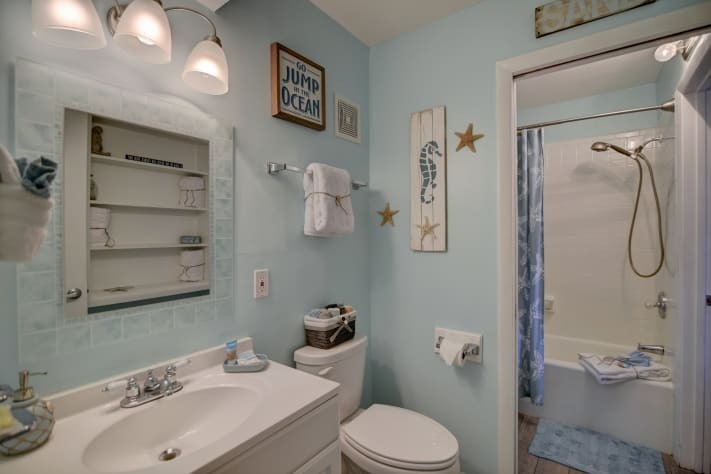 Very comfortable, clean and great location. Chantale is great to communicate with and always meets our needs. We will be back here year after year! Dear Tammy, VIPs like you guys is what make sharing our home worthy :-) !!! After alll these years, feel more like family now than strangers sharing our home . We always love having you and hope we will ...forever...lol. Thanks again and see you...next August !!! This was our daughter’s first beach vacation and she loved it! From the moment we booked the property, Chantale was awesome! She even checked on us during our stay to make sure everything was going well. We really liked being on the second floor. The view was fabulous from our private balcony. 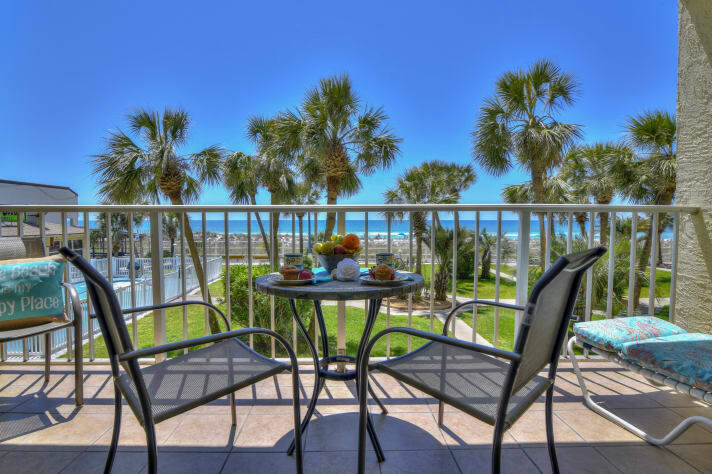 The condo is close to lots of great restaurants and activities. Our daughter loved the kiddie pool and looking for shells in the beautifully clear water of the ocean. Chantale also has a book in the condo that has personal recommendations for restaurants and activities. That helped to make our trip more enjoyable. We would definitely recommend this property! Clean, relaxing, and more spacious than expected. The kids loved the bunk beds, and the large flat-screen TV and cable. The balcony overlooked the quiet part of the beach so we weren't bothered by people in the pools or hot tubs. AC worked beautifully. 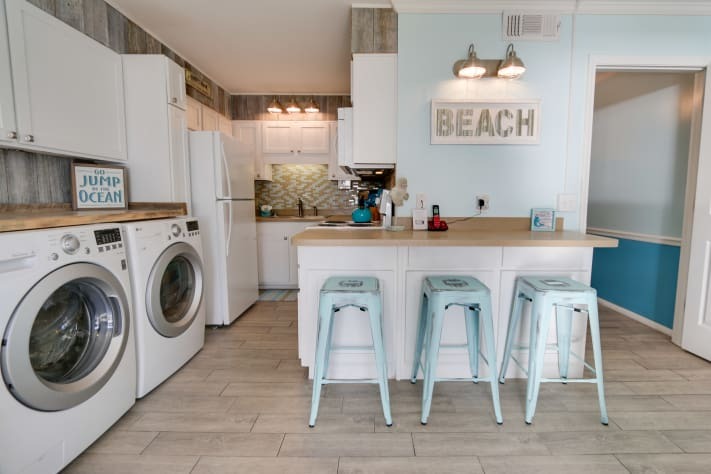 Such a blessing to have a washer and dryer in the unit, when you have 3 kids and daily beach and pool visits. It was even good to be on the 2nd floor because with all the people, the elevators were overworked and we were able to just zip up the stairs in no time. I was really impressed with how well fitted-out the kitchen was - slow cooker, 2 different coffee makers (Keurig and a drop coffee machine), a waffle iron (my kids reminded me not to forget this), large fridge/freezer, blender, good quality pots and pans, all the plates/bowls/serving items and utensils you could want. The beds were comfortable and everything was clean. There were a good amount of towels (at least 10, or more). The kids loved the shapes the towels were formed in on the bed - a snake, a bird - with peppermints for their eyes. It was a lovely greeting. All in all, nothing bad to say about this place. The only thing is I packed too much, thinking we'd need a coffee maker, and more towels, and games and books, but there were some games and books in the TV cabinet too. And beach toys there as well. Now I know how well set-up it is, I'd be set with taking just absolute basics. Walmart is right up the road, too. Wifi was also good, for our rainy day. Top marks all around. I'd definitely recommend it. Dear Danielle, Thank you so much for the sweet review ! It is wonderful to hear we had a wonderful stay with us. We enjoyed having you and for taking such great care of our home ...you made the VIP list...lol. WE hope to see you again soon!! 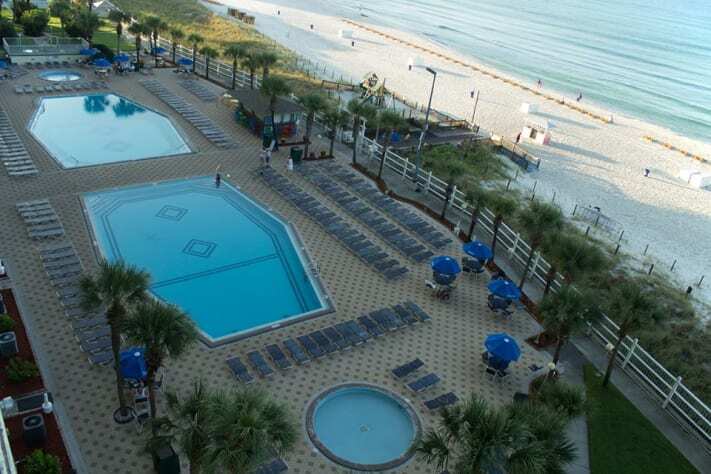 We had a wonderful time in PCB and thoroughly enjoyed our stay at the Summit. 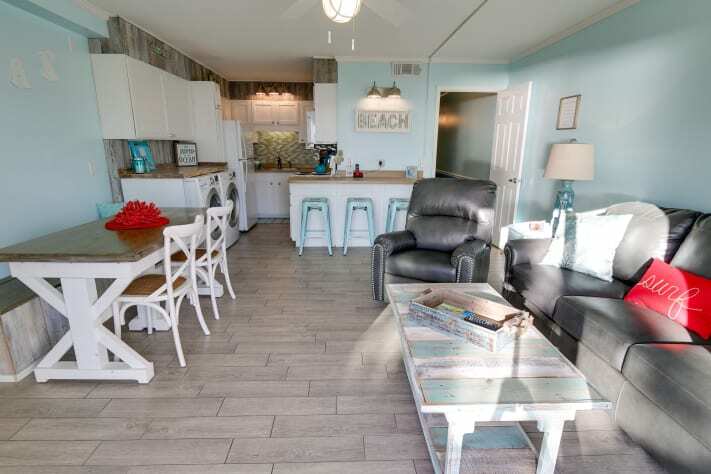 The condo was clean, fully stocked, great location, quiet when it needed to be, and just an all around perfect vacation spot. We loved being on the 2nd floor as waiting for an elevator can take awhile. One quick zip up the stairs and we were right next to our room. The 2nd floor also provides absolutely stunning views of the resort and ocean. Chantale is absolutely amazing to work with. When we talk or text, I almost feel like she is family because she takes such good care of her renters. 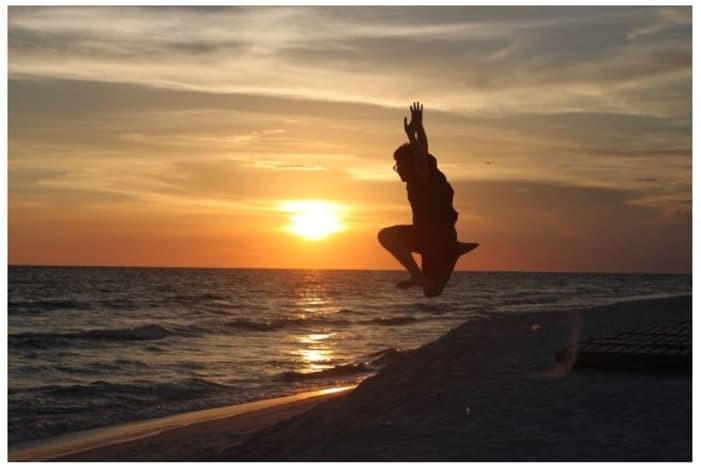 Thanks for helping us make wonderful memories in PCB with our children! The owner was very attentive. Nice condo with everything one could need. The Summit is a resort, so you really don’t have to leave the property. Dear sir, We are so please that your stay with us! You are right,..The Summit has so many amenities that you do not have to leave unless you want too. Thanks for caring for our home as it was yours and welcome to our VIP family. Hope to see you again soon! Dear Ms Virginia, Thank you so much for the kind words! You made my day :-). I am so please to hear that you were satisfied. Thanks for taking such great care of our condo and welcome to our VIP family. Hope to see you again soon!!! 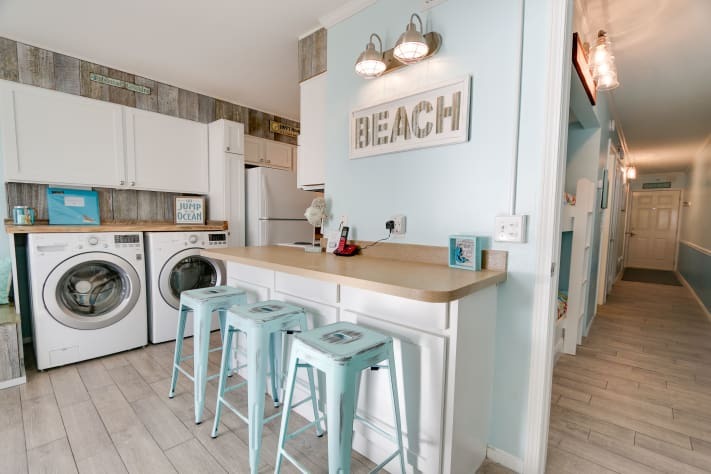 This condo is absolutely adorable. It worked perfect for our crew and having a master with 2 beds. The unit has everything you could possibly need. Kitchen was more than stocked with adequate items. We were actually able to do a full shrimp boil. The biggest bonus was being on the second floor. With us coming for a busy spring break week we never needed to wait for the elevator. We will be coming back! Dear guest, We are so please to hear that you enjoyed the unit as much as we do :). We try really hard to make sure that the condo has everything everyone may need and so glad to hear when we do. 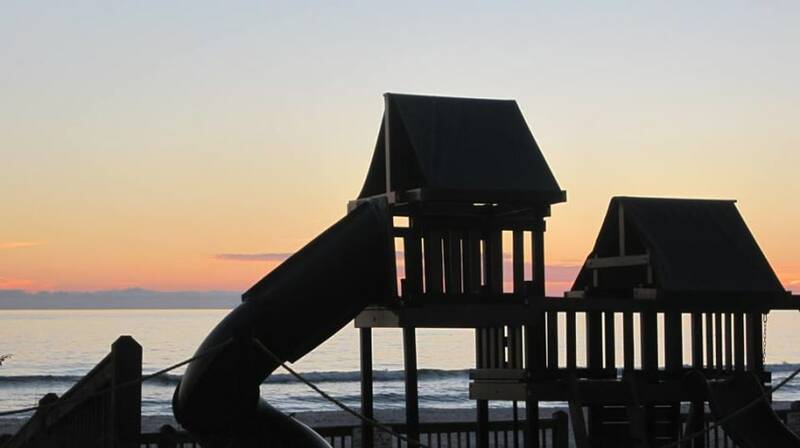 We hope you create for your children memories that will last a life time. Thanks again for taking such great care of our condo and welcome to our VIP family . Hope to see you again soon!!! Have been staying in her units for about 6 years now and they are always clean and have e3verything you could possible need. Thanks for another great stay!!! Dear Bryan, Thanks for the kind words! We are so glad that you were able to visit another one of our property and enjoy it. We love having VIP like you :-). See you soon at Dunes ! After postponing due to a hurricane and family illness, we finally got to go to the beach for a few days. Chantale was most gracious to us and her condo was spotless! She definitely goes the extra mile for her customers! 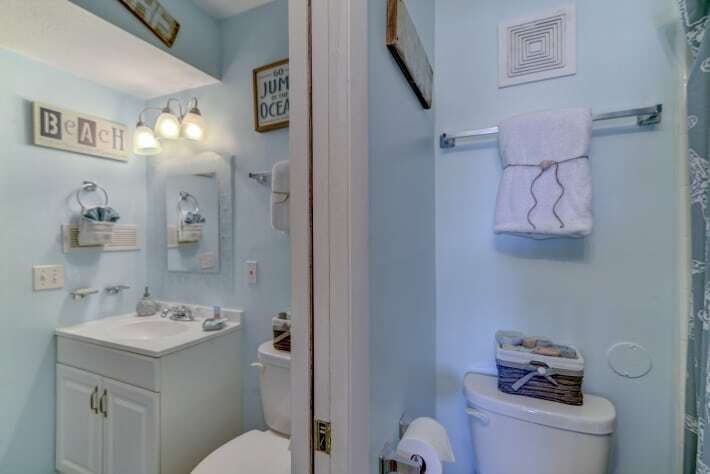 Clean, comfy and quiet --- what more could we ask for! Dear Ms Ginger, I am so sorry that your trip was delay , but your safety was our priority. I am glad you were able to visit us and enjoyed your stay with us. WE felt blessed to have you as guests. 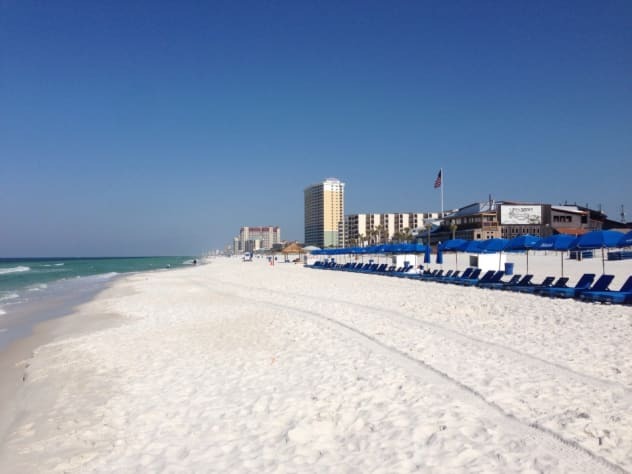 Hope Hidden Treasure III will become your PCB getaway. Hope to see you again! Chantale was a pleasure to work with! We had to reschedule because of family illness and hurricane, but she was so gracious to work with us! 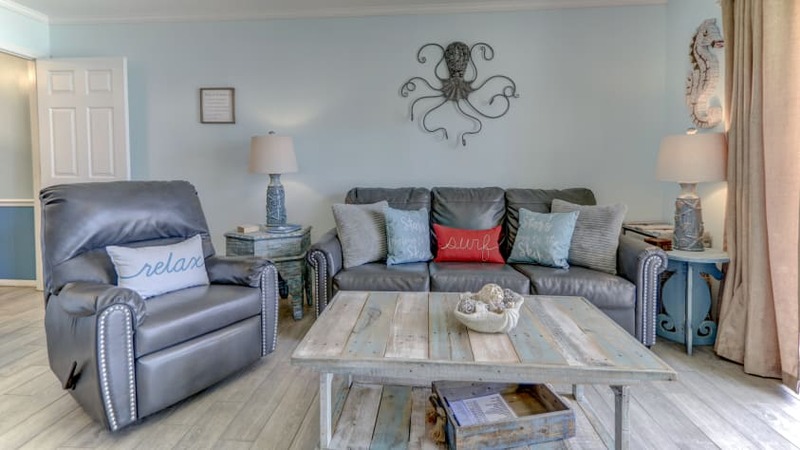 When we did arrive in PC, everything was just as pictured -- clean, comfortable, and cozy! Thanks so much!